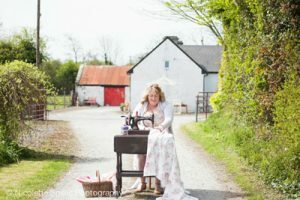 If, like me, you seem to accumulate sewing machines you may find this post handy to work out how to use it or at least identify it which helps if you contact a sewing shop to get it repaired. This particular machine, see image below, is what is called a Treadle Hand Crank Singer Machine. 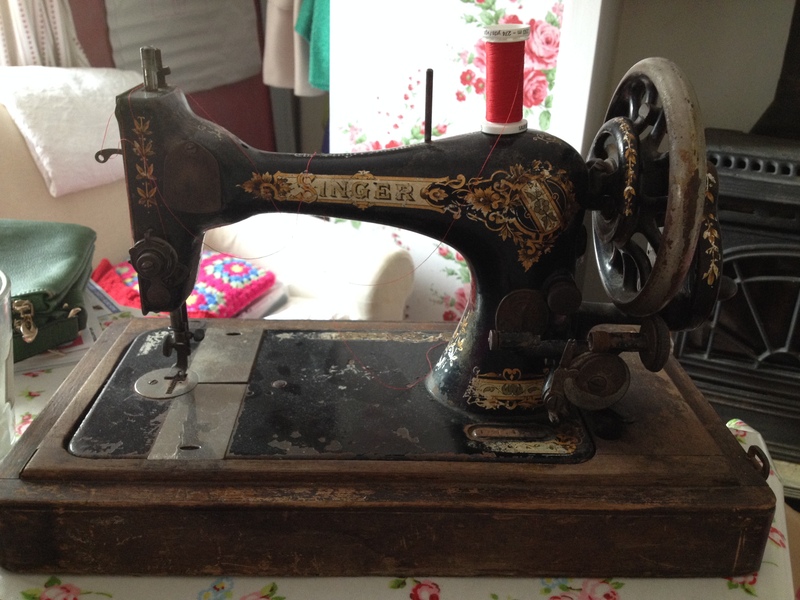 I’ve decided I want to get it working again as I think it will be great to use in my Kid’s Summer Sewing Camps. It’s in great condition from what I can see so I’m hoping it won’t take too much to get it working again. So I rang round a few places and put some call outs on Facebook and anyone I spoke to asked “what model is it”. I hadn’t a clue to begin with but after a couple of hours googling I found out a lot and I thought I’d share it here as I’m sure I’m not the only one looking for this information and it’s easy for me to refer back to if I need to … which of course I will as I have no doubt I’ll add another old machine to my collection at some point!! So first of all you need to work out what type of machine you have. I found this website (Sandman Collectibles) extremely helpful in helping me identify the machine I had, particularly if you don’t have a serial number. By answering the questions I was able to work out that mine is either a Singer Model 27 or 28. If you have the serial number you can go to this site and get more information. The serial number is on a metal plate at the front right of the machine. 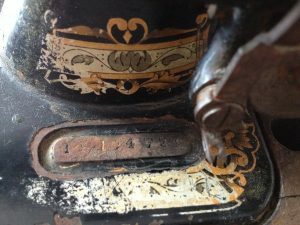 As you can see in the picture below mine is pretty hard to read but on closer inspection it’s 1410472 so according to the site it was made circa 1824. Wow! On the site you can even identify the machine by the decals here and download manuals here. After all that I’ve discovered my machine is a 28k just like the one here (although mine is a little worse for wear) I found a manual here. Once you have the model name there is so much information you can find out online. This You Tube tutorial is so easy to follow I might just try and get my sewing machine working myself and save myself the €80+ service charge! I hope this has helped if you are trying to work out the model of your machine.